If you are a meat eater, get yourself down to Blacklock now! 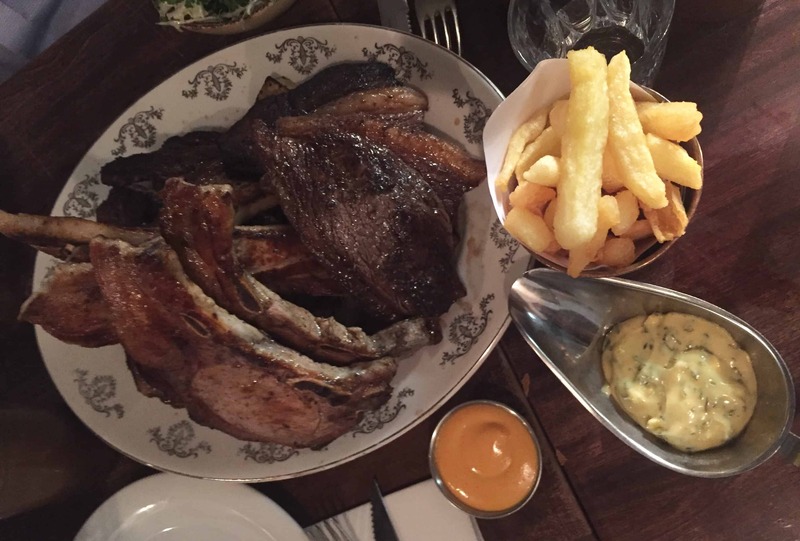 With two branches in the City and Soho, Blacklock meat restaurant in London focuses on its wide range of chops. 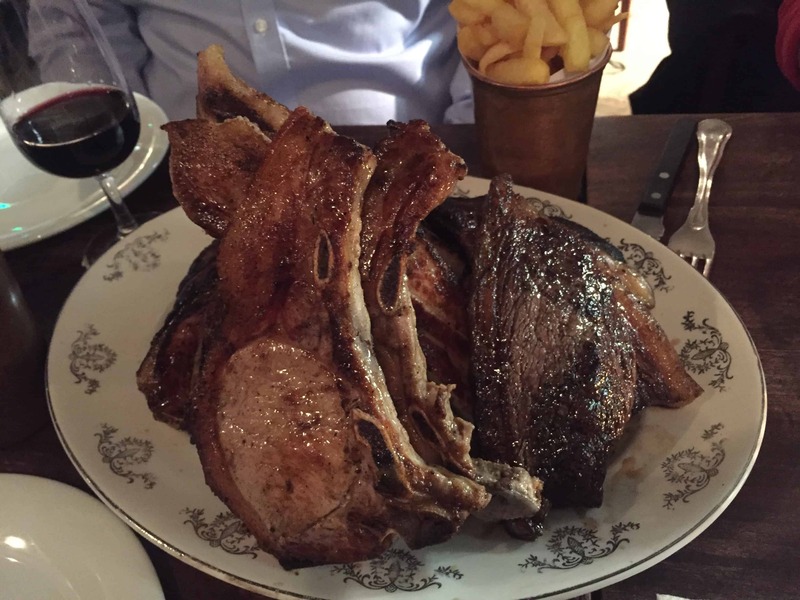 Created by some of the guys behind the fantastic steak house Hawksmoor, you know it is going to be good! The menu is kept simple with a small selection of pre chop bits and then on to the main deal. Choose from skinny chops, big chops or off the bone meat. To make it simpler for newbies, they offer an “All In” which was recommended by our waitress. 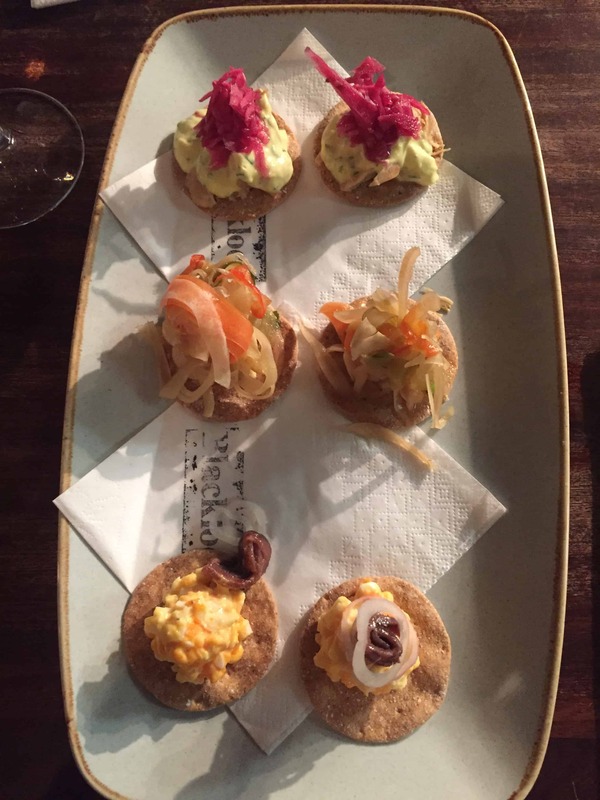 This deal includes the pre-chop bites of cheese & pickle, chicken and horseradish and egg & anchovy on cracker like bread and ALL of the day’s skinny chops piled on coal flatbread with a side each. With all of the chops we shared beef dripping chips, kale & parmesan and a heritage tomato salad. Together with the beef rump, lamb cutlet, lamb t-bone, pork loin, pork rib and pork belly, we were stuffed! We LOVED the flatbread too with the meat juices! Sadly, I lost track of what meat I was eating along the way and think it would be better presented if it was split out clearly. I do also prefer meat off the bone so may choose differently next time. That said, the service was great and it was definitely good value for how much you get.